"What are you going to do for me during my day in Court that is going to fix this?" Our simple answer? Everything other attorneys don't. 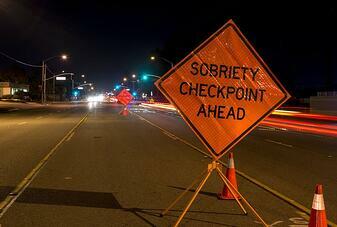 What is a DUI/DWI? In New Jersey, a person or individual with a blood alcohol concentration (BAC) of .08% or greater who operates a motor vehicle is considered to be driving under the influence (DUI or DWI). Anyone who refuses a breath test (refusal 39:4-50.2 or 39:4-51) may be found guilty of “refusal.” In New Jersey, there are penalties that are separate from any conviction of the DUI offense. 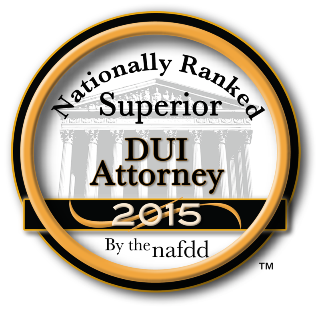 Our lawyers have worked through hundreds and hundreds of DUI/DWI cases ranging from first offenses, to DUI death-by-auto or "vehicular homicide," the equivalent of murder by vehicle, with overwhelmingly successful results in court. We avidly promote upholding our clients' Constitutional rights. Our attorneys will not leave you disappointed, confused, or concerned. We work with clients throughout Hunterdon County, Somerset County, and beyond, including areas such as Branchburg, Readington, Clinton Township, Bridgewater, Flemington, Raritan and Somerville. 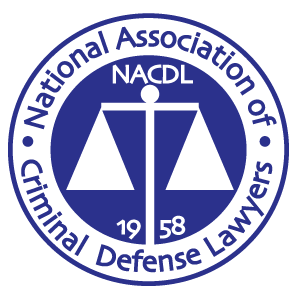 You may have read about New Jersey DUI lawyers who claim to be experts simply because they were mentioned in a court case at the state level. However, don't be sold on this: The client had to lose in court first, suffering tremendous financial loss at the expense of his or her attorneys' lengthy appeal. Our goal is to avoid reaching an appeal in the first place, and if we do, our reason is compelling, multi-faceted and extremely well-grounded. 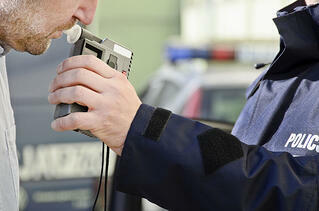 Simon Law Group has represented hundreds of clients charged with DUI/DWI. 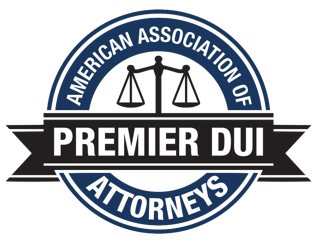 Many of our clients had just one or two drinks with dinner and were in the wrong place at the wrong time and now are faced with their first DUI. Some clients were participating in recreational activities and felt they were more sober. Others had misunderstandings involving prescription drugs and found themselves in a precarious situation. Our array of attorneys in our law firm is truly unlike any other. Our New Jersey DUI lawyers are former clerks and key assistants to state judges, who understand the inner workings of the justice system, and others are former prosecutors who've gained years upon years of experience at the other end of the table, now fighting for you. With the DUI defense team at Simon Law Group, you're not a number or a "case" -- you're a human with a story. You're a person who has come to us looking for assistance in a time of stress and crisis. Our dedicated DUI lawyers work tediously through every option, analyzing and re-analyzing consequences, outcomes and possible alternatives, and investigating a vast array of techniques to determine the most effective defense for your unique situation. In many cases, the police have lacked the authority to pull our clients over, and make detrimental mistakes during the stop. Often, officers' machines are miscalibrated, and despite the best intentions of our law enforcement community, these fragile gadgets are prone to damage, much like a cell phone. These investigations cripple the prosecution’s argument and are among are our top priorities. For complex cases, including those involving an assault, an injury, unclear facts or even a death, our attorneys have a fleet of resources at our disposal to ensure the optimal outcome each and every time. When it's your day in court, we take no chances. Whether it's your 1st DUI or your 5th, our experienced defense attorneys are relentlessly dedicated to fighting the government to protect your reputation, as well as your Constitutional rights. No exception. It’s our promise. A “Driving under the Influence of Drugs” (DUID) charge can be brought against any person suspected of driving while under the influence of any hallucinogenic, narcotic, or other mind altering drug. Drugs considered to affect the influence of driving include marijuana, cocaine, LSD, heroin, MDMA (ecstasy), or other narcotics, including prescription or even over the counter drugs. If you are pulled over under the suspicion of DUID, you are not required to provide a blood, breath, or urine sample to the officer. The New Jersey law of Implied Consent to take these tests is limited only to suspicion of drunk driving, and no other substance. However, if you have a commercial license (CDL), you are required to submit to a chemical test if suspected of DUID. Similar to standard DUI’s, allowing an inexperienced attorney to handle your case is perhaps the worst mistake you could make in your entire lifetime. Simon Law Group, however, ensures accurate and thorough examination of each case, as every matter is both unique and distinguished, and offers its own specific circumstances. The difference with us is that we do this every day. You’ll work with one attorney whose sole purpose is to dismantle both the physical and circumstantial evidence in the prosecutor’s case. We then aggressively challenge the charges when we’ve constructed a reliable, valid case. Our success rate is unparalleled, and our dedication is uncompromised. Call us: You can’t afford not to. A drinking and driving charge is a serious offense, and the impact of a conviction can be even more significant for someone who is under legal drinking age and just beginning his or her adult life. Also, if you are unlicensed and under 17 years of age at the time of the incident, you are subject to a 30 to 90 day delay in processing your driver license. The consequences for a provisional license are even more severe. In this case, we can help alleviate this process and work with the courts to manage the outcome. At Simon Law Group, we’ve handled many instances of “under-21s” who’ve gone out with friends to have a good time, and end up getting arrested because they’ve had a drink or two. This is actually more common than you might think. Luckily, we’re extremely accomplished at addressing these matters in court, and consulting us gives you or your underage child the best possible chance to ensure the safety of his or her future. If you choose to use an incompetent attorney or represent yourself, and are convicted of a DUI/DWI (under or over 21 years of age), aside from fines, jail time, community service, etc., you will be required to participate in Alcohol and Highway Safety Education at an Intoxicated Driver Resource Center. Click this link to locate your local IDRC. During your session, they'll educate on the effects of alcohol and drugs on the body and driving ability. You can expect to attend classes, engage in discussions and meet with a counselor for an interview and assessment. This typically takes a minimum of 6 hours each day for 2 days. 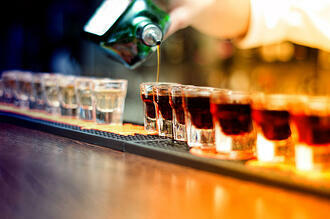 In addition, they perform an evaluation for a drug or alcohol problem and may recommend for further treatment. If it is determined that further treatment is necessary, each offender will complete a minimum of 16-weeks of treatment. Our objective is, of course, to avoid a conviction before any of this occurs. Regardless, the IDRC program monitors the compliance and will report back to the court. Failure to comply will result in further license suspension and possible jail time. An interlock may be required to be installed in your vehicle depending on your BAC as well as the level of offense. This works as a breath test which requires less than .05 BAC to start your vehicle. The goal is to contact us before a conviction, so that we can greatly reduce or even eliminate the chances of having to participate in any of the above-mentioned penalties. Never assume your case can’t be won, regardless of whether your blood alcohol content was above the legal limit. There are numerous New Jersey DUI defense strategies that can be used to win your case at trial or to have the charges dismissed or downgraded. Even if you need a lawyer for driving while suspended, we have the expertise to get you the best possible results for your case.